Defendy Rocket is a challenging, rewarding and fast-paced mobile arcade game in which you launch rockets to intercept enemies. Create paths for your rockets using speed and precision to chain together combos and earn points to purchase upgrades and cosmetic items. Unlock new game modes and survive for as long as you can, then compete with your friends on the leaderboards! Defendy Rocket is completely free and contains no in-app purchases of any kind. - Three successive difficulty modes to unlock. - Endless mode for the ultimate procedurally-generated challenge. 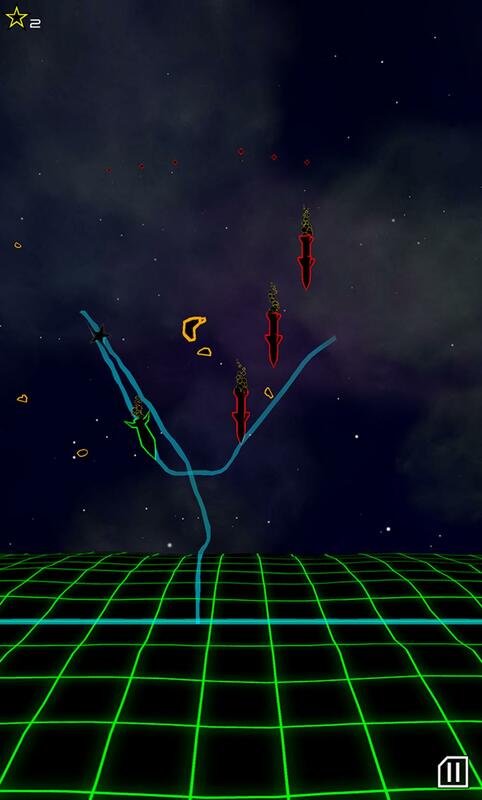 - Unlockable Turbo modifier for each game mode, to push your reflexes to the limit. - Multiple upgrades to give yourself the edge as you progress. - A vast array of customisation options, allowing you to change the shape and colour of almost everything in the game. - Fully scalable detail settings to maximise performance on a low-end device. - Full Achievements and Leaderboard support.